Beauty is preserved in simple things, in the landscape of one’s own land, in authentic flavors. 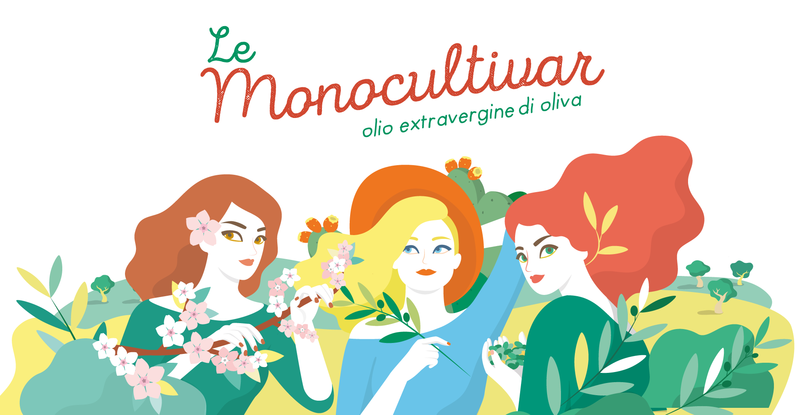 The beauty of our cold extracted extra virgin olive oil is contained in the purity of the “Monocultivar”, the new line dedicated to extra-virgin olive oils born from three native Apulian olive varieties, milled within 2 hours of the harvest. 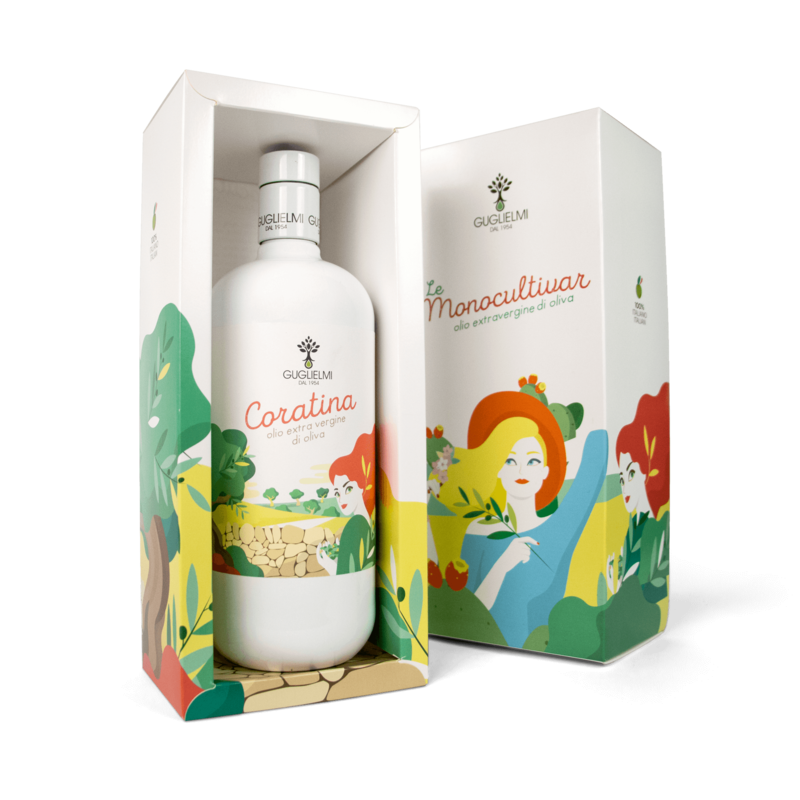 “Coratina”, “Ogliarola” and “Peranzana” become icons of a timeless taste, whose scents and flavors recall the authenticity and the excellence of a premium quality olive oil. 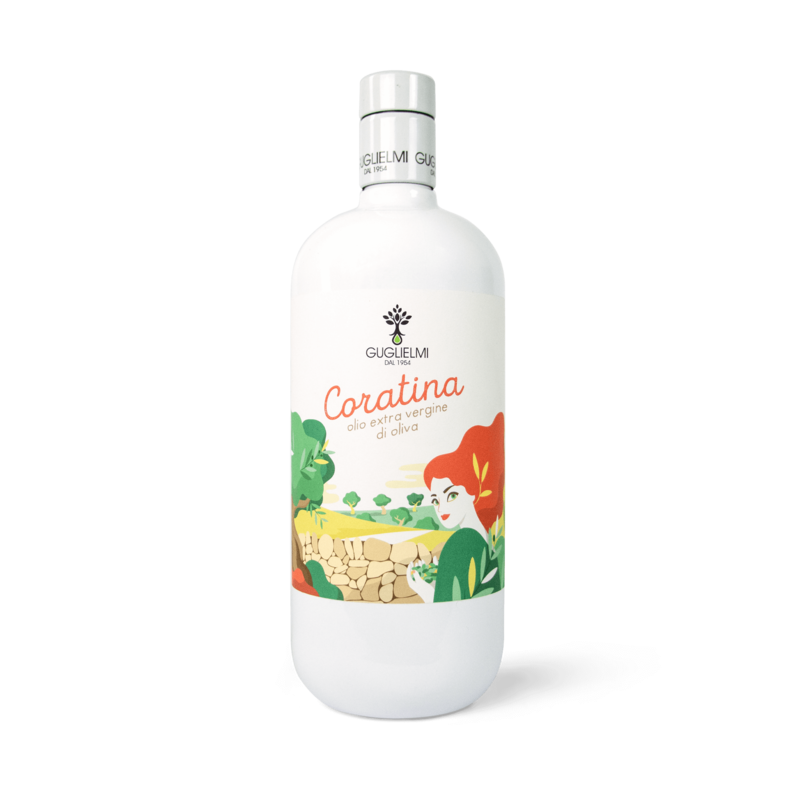 Monocultivar Coratina is the extra virgin olive oil for those who love the strong ``characters``. 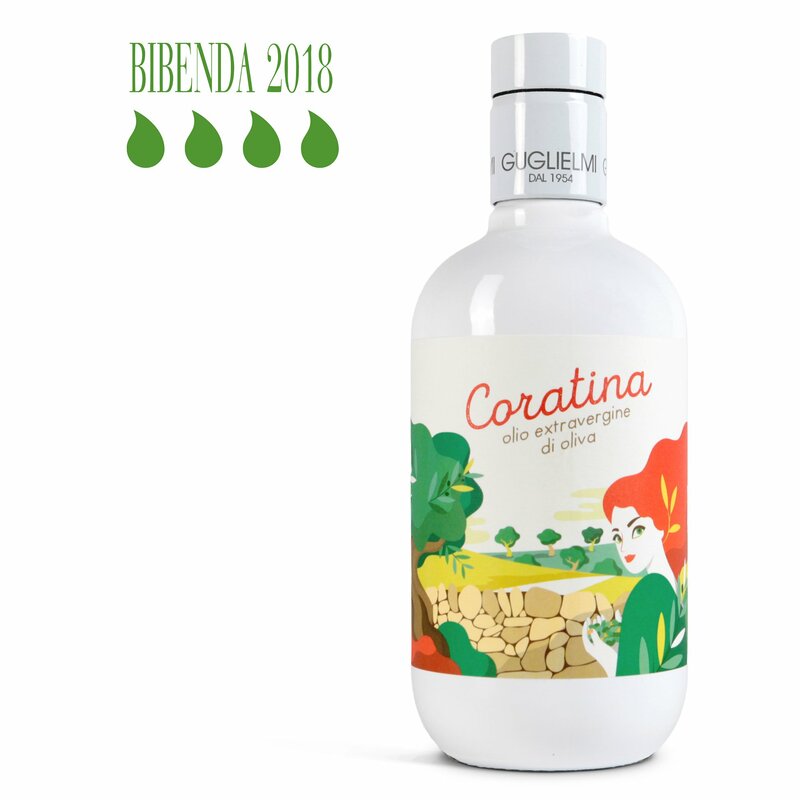 Queen among the cultivars of Italy for the high content of polyphenols, potent antioxidants that return that tingling in the throat during the tasting, Coratina is the symbol of the olive tree in Puglia. The olives, harvested during the first weeks of October, are pressed in two hours. A cold-pressed extra virgin olive oil is produced, an intense fruity that is unforgettable on the palate. Its intriguing taste, harmoniously balanced between bitterness and spicy, preserves all the power of the aromas of the wet grass, hints of artichoke and tomato with a final spicy aftertaste that recalls the scents of the countryside. Equilibrium. 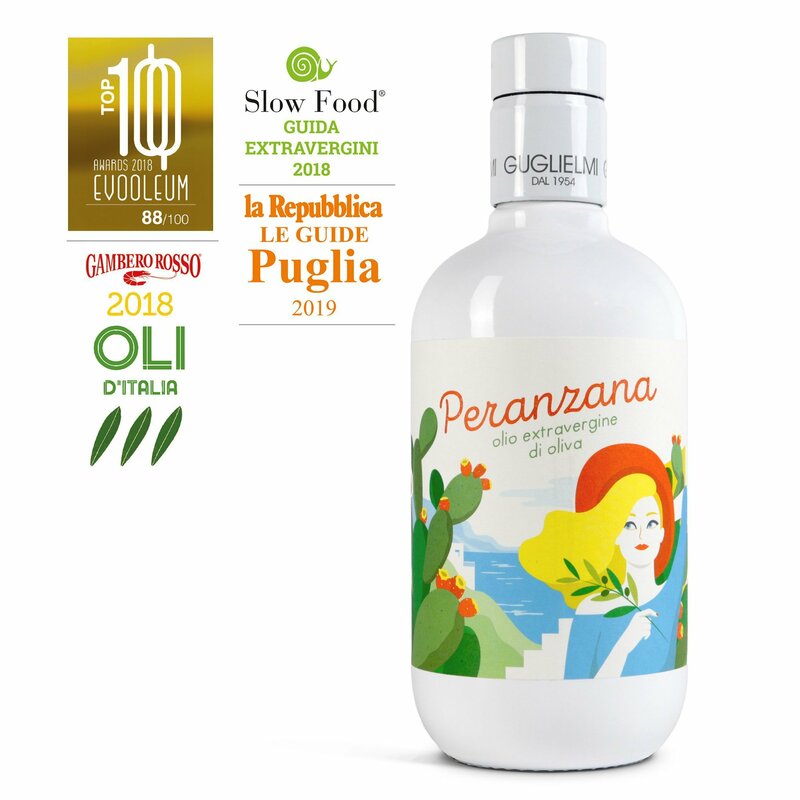 Monocultivar Peranzana is mild, like the spring sun of Puglia. Its delicate and incisive taste is a delicate kiss. The olives, harvested during the first weeks of October, are pressed in two hours. This produces a cold-pressed extra virgin known for its versatility in the combination of dishes. Monocultivar Peranzana is representative of the territory in which it is cultivated. The strong identity turns into a light fruity where, thanks to the balancing of the spicy and bitter, the aromas of olive pressing are preserved with sensations of grass, artichoke and slight hints of tomato and fresh almond. Elegance. You will remember Monocultivar Ogliarola, which does not go unnoticed for its refinement on the palate. 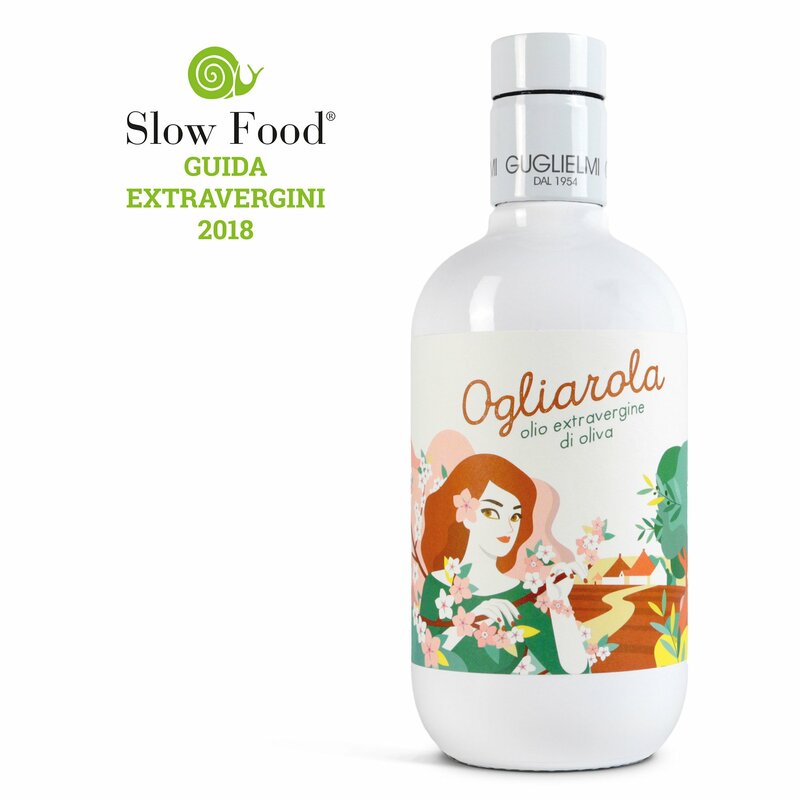 The extra virgin Ogliarola is obtained only from olives, harvested during the first weeks of October, olives are pressed in two hours. 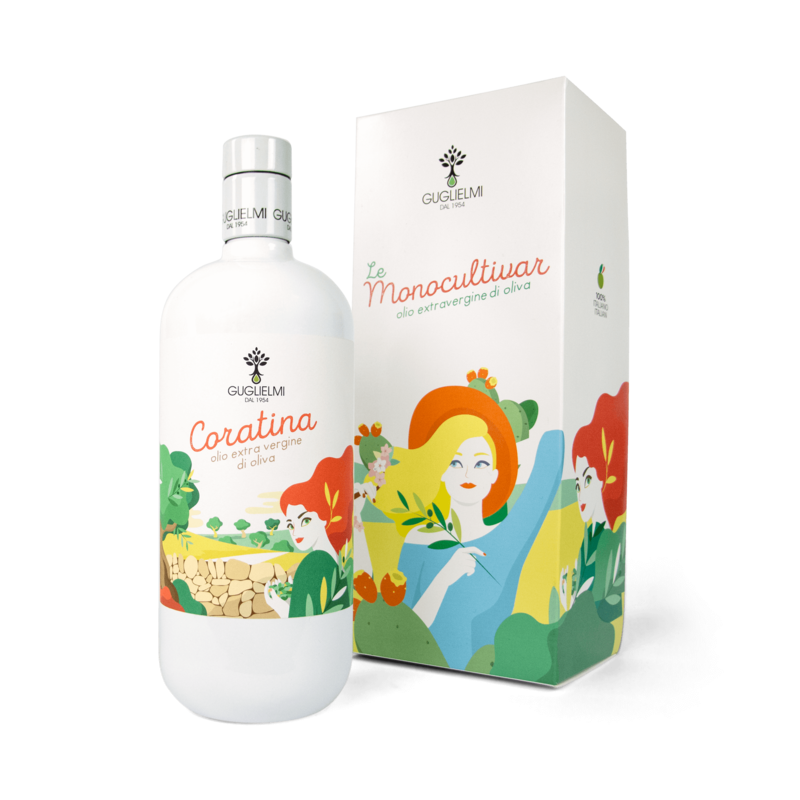 The extra virgin that comes from it, strictly cold extracted, is very pleasant, with notes of fresh almond and jasmine scents. There is no better gesture than to give taste. 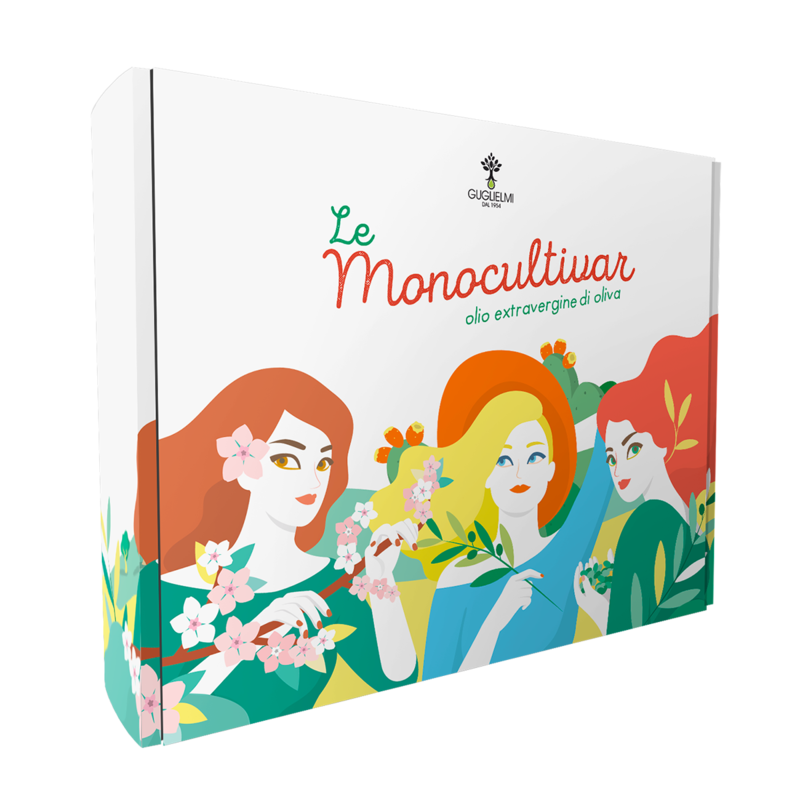 Gift Box Monocultivar is the gift box containing the 3 different varieties of Monocultivar. A box that satisfies the eye and the palate ready to give flavor to your special moments.